Reports suggest that Alastair Cook is set to resign as England’s Test skipper when he meets the Director of Cricket in England Andrew Strauss later this week. Joe Root, who was made England’s vice-captain during the 2015 Ashes Series, is set to take over from Cook as the new Test captain. There has been a lot of clamour for Cook’s head following a dismal end to 2016 in India. After a couple of drawn series against Pakistan and Bangladesh, England were humbled 0-4 by India in the recently concluded 5-match Test series. The England team have dropped to no.4 in the ICC’s Test rankings, and Cook has faced a lot of criticism for his ultra-defensive captaincy. English newspaper Telegraph have reported that Cook is set to resign from the helm, and the ECB are expected to make an announcement later this week. 26-year-old Joe Root is set to replace him as the new captain of the side – the youngest for England since Mike Atherton was appointed the captain at the age of 25. It also added that Ben Stokes will be appointed as Root’s deputy. 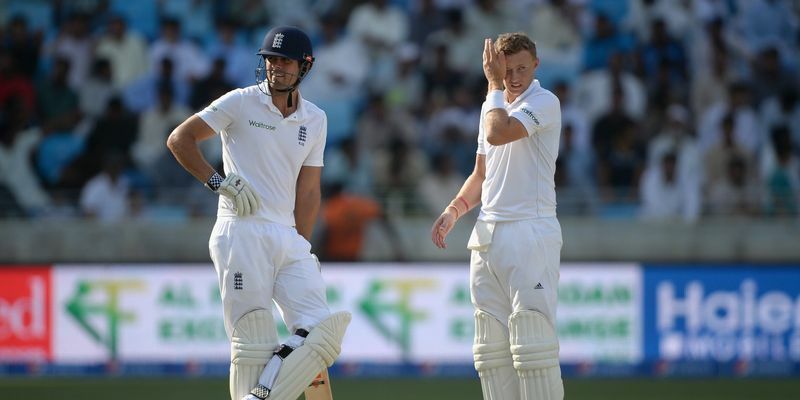 Cook has been in charge of the team for four years since Andrew Strauss retired back in 2012. Cook, who led the England team to their first Test series win on Indian soil since 1984-85 in 2012, has been mulling over his future since the debacle in India in the recent Test series. Root has no captaincy experience to speak of beyond a handful of championship matches for Yorkshire two years ago, although the ECB cannot look beyond him at this point. He will have some time to adjust to his new role, though. England will not play a Test match until July when they host South Africa in a four-match Test series followed by a three-match Test series against West Indies at home.